I do not know how to start explaining the excellent time we had at 33 La Mer. It is the first time my partner and I did not want to come home after a holiday. 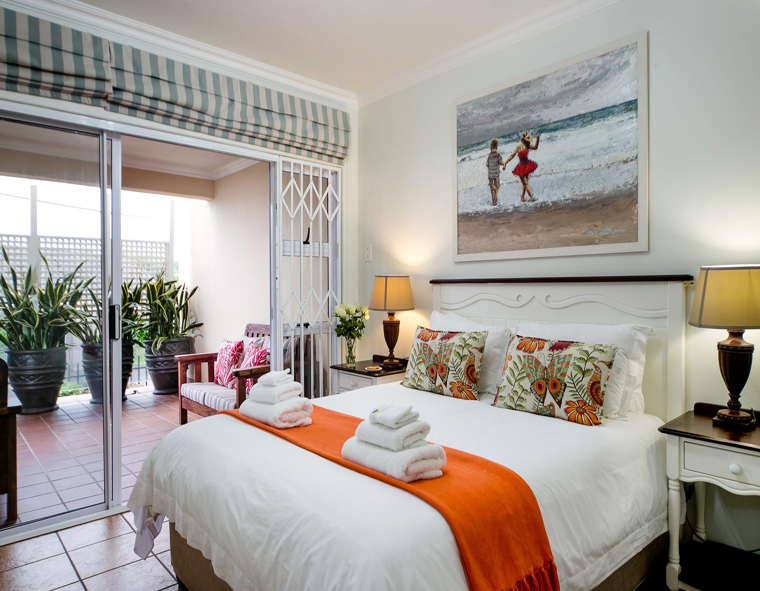 We usually go to Ramsgate, but we agreed that La Mer will be our new holiday destination in South Africa. The unit is super clean, beautifully furnished and the view is stunning! We had such a lovely time, that is why we stayed an extra day. It is really a very very nice unit. We felt safe, during the day and night. We can not stop talking about the awesome holiday we had. Thank you once again, you will certainly hear from us again! Pragtige droom-woonstel vir ‘n lieflike wegbreek-vakansie. 26 La Mer was waarlik 'n droomplekkie. Die woonstel is so mooi gemeubileer, met alles wat mens aan kan dink, met boonop 'n pragtige uitsig oor die see. Dit lyk presies soos wat die fotos aandui. Alles van die korrespondensie met die eienaar tot die sleutels optel, tot die verblyf self was perfek. Ons het dit so geniet en kan met volle vertroue dit vir almal aanbeveel. 26 La Mer was waarlik 'n droomplekkie. Die woonstel is so mooi gemeubileer, met alles wat mens aan kan dink, met boonop 'n pragtige uitsig oor die see. Dit lyk presies soos wat die fotos aandui. Alles van die korrespondensie met die eienaar tot die sleutels optel, tot die verblyf self was perfek. Ons het dit so geniet en kan met volle vertroue dit vir almal aanbeveel. Ons sal verseker teruggaan! Ich war zum 3 mal beruflich in Durban und habe mich wieder in La Mer eingebucht. Mein Apartment der ersten beiden Aufenthalte, La Mer 33, war leider schon belegt. Dieses hat meiner Ansicht nach den besten Blick vom Balkon direkt auf das Meer. Aber auch Apartment Nr 2 hat mich begeistert. Es ist toll ausgestattet, selbst ein Gasgrill und eine Nespresso Maschine waren vor Ort! Die Apartmentanlage ist perfekt: Pool, direkter Zugang zum Meer, alles sehr ordentlich und sauber. Durban ist leicht zu erreichen und ein morgendlicher Strandspaziergang am endlosen Strand ist eine klasse Einstimmung auf den (Arbeits-)Tag. Ich war zum 3 mal beruflich in Durban und habe mich wieder in La Mer eingebucht. Mein Apartment der ersten beiden Aufenthalte, La Mer 33, war leider schon belegt. Dieses hat meiner Ansicht nach den besten Blick vom Balkon direkt auf das Meer. Aber auch Apartment Nr 2 hat mich begeistert. Es ist toll ausgestattet, selbst ein Gasgrill und eine Nespresso Maschine waren vor Ort! Die Apartmentanlage ist perfekt: Pool, direkter Zugang zum Meer, alles sehr ordentlich und sauber. Durban ist leicht zu erreichen und ein morgendlicher Strandspaziergang am endlosen Strand ist eine klasse Einstimmung auf den (Arbeits-)Tag. More than we could have imagined….. I would like to take this opportunity to thank you from the bottom of my heart. Our stay at 26 La Mer was more than we could have imagined. 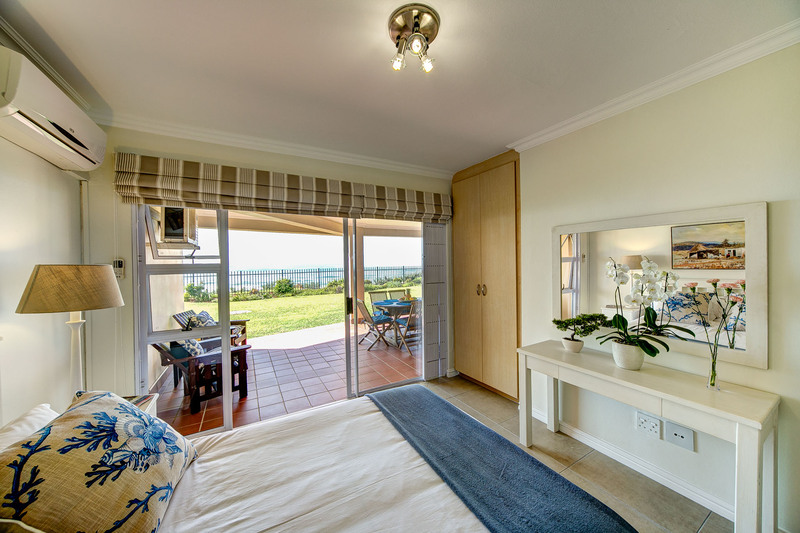 Beautifully furnished, with all sorts of lovely luxuries and perfectly situated with a picture perfect view. All of this made for a perfect week of relaxation. Thank you for all the trouble you went to, including the very nice cot that was waiting for our baby. The whole experience from start to finish was just an absolute pleasure. We will definitely refer others to you guys and we will also, without a doubt, come visit you again soon. Hi Burger, I would like to take this opportunity to thank you from the bottom of my heart. Our stay at 26 La Mer was more than we could have imagined. 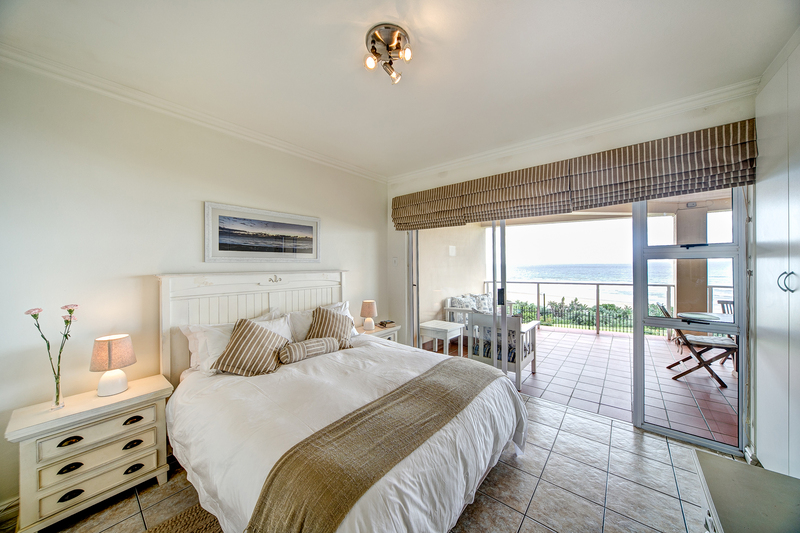 Beautifully furnished, with all sorts of lovely luxuries and perfectly situated with a picture perfect view. All of this made for a perfect week of relaxation. Thank you for all the trouble you went to, including the very nice cot that was waiting for our baby. The whole experience from start to finish was just an absolute pleasure. We will definitely refer others to you guys and we will also, without a doubt, come visit you again soon. Die perfekte huis weg van die huis met kinnertjies. Ons is absoluut mal oor die akkomodasie gewees. Le-che was vreeslik oulik gewees en so hulpvaardig. Die huisie was skoon en het alles gehad wat jy kon nodig hê. Hulle het selfs vir ons twee eetstoeltjies vir die kleintjies gegee en gehelp met die strykwerk. Die woonstel het 'n pragtige uitsig op die see en 'n lekker grasperk vir die kinders om te speel. Stapafstand van 'n private strand en die kompleks se swembad en speelplek is van hoë gehalte. Ons kom vir seker weer terug. Die perfekte huis weg van die huis met kinnertjies. Ons is absoluut mal oor die akkomodasie gewees. Le-che was vreeslik oulik gewees en so hulpvaardig. Die huisie was skoon en het alles gehad wat jy kon nodig hê. Hulle het selfs vir ons twee eetstoeltjies vir die kleintjies gegee en gehelp met die strykwerk. Die woonstel het 'n pragtige uitsig op die see en 'n lekker grasperk vir die kinders om te speel. Stapafstand van 'n private strand en die kompleks se swembad en speelplek is van hoë gehalte. Ons kom vir seker weer terug. Great holiday apartments for once a place looks exactly like the picture. I was there for 4 days with my family and the apartments are beautiful, we'll furnished and best part there is a cleaning service daily. The apartments are close to the beach and the beach is clean and quiet. Would go back in a heart beat. Great holiday apartments for once a place looks exactly like the picture. I was there for 4 days with my family and the apartments are beautiful, we'll furnished and best part there is a cleaning service daily. The apartments are close to the beach and the beach is clean and quiet. Would go back in a heart beat. Hi want to thank you for making my holiday perfect. The apartment we booked was the best we have experienced in a long time. the best in 14 years since I became wheel chair bound…..
Our stay at 26 Le Mer was absolute bliss.The best stay we experienced on the last 14 Years since I became wheelchair bound..
We were absolutely more than happy especially with Le Che that made our stay very !!! Pleasant. She is an absolute asset for Le Mer her level of service and hospitality was better than 5☆. 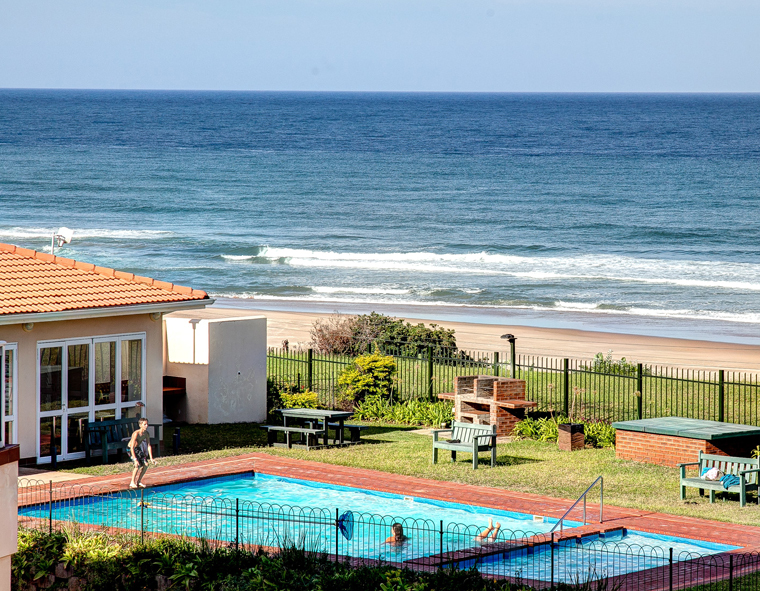 We will certainly return to Le Mer when we holiday at the coast in KZN. Thank you .the apartment was also very pleasant ...we loved it ..
Like a second home . We stayed, four adults, at 51 La Mer for a week and had a great time. The apartment is situated in a very nice complex with easy access to the beach and shops nearby. The apartment comes with everything and more so much more especially with the lovely team that caters to all you needs and requirements so much so that we came home with very little laundry!! 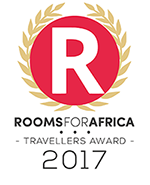 You could not ask for a better team to assist you whilst staying there. The surrounding area has lots to do and you are are in easy reach of Durban for shopping, nightlife and restaurants. One of the largest malls in the world is an easy 30 minute drive from the apartment. Around the area there are great places to eat if you do not want to cook but then if you do you have a fully stocked kitchen with everything you need to cook a simple to a complex meal. The apartment has great views of the Indian Ocean and a lagoon, which we became obsessed with watching it fill and empty into the Ocean. The beach is great for walking on at anytime of the day and the local people on the beach are really friendly. The only thing that we found hard to do was leave on our last day. 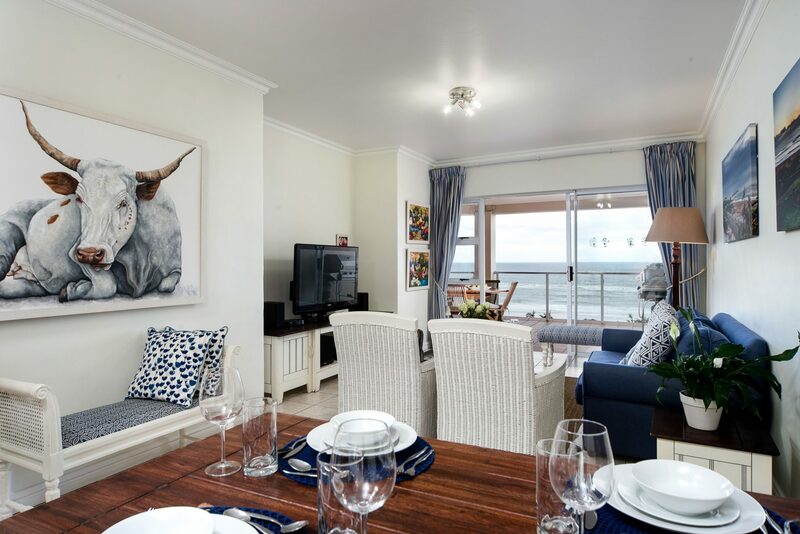 The ground floor apartment (26 La Mer) is a true gem in a beautiful setting with a stunning sea view. 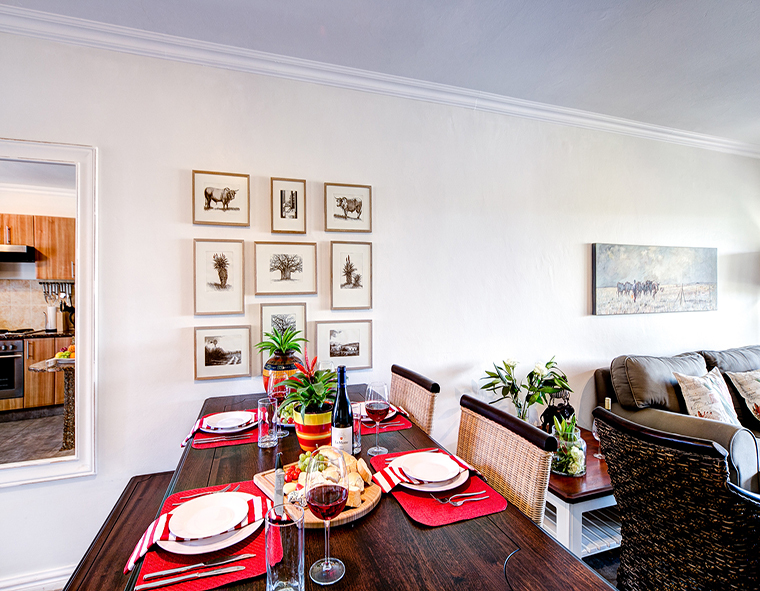 Spacious and elegantly furnished with a host of fantastic, modern amenities! The cleaning staff were extremely friendly and on time every day. 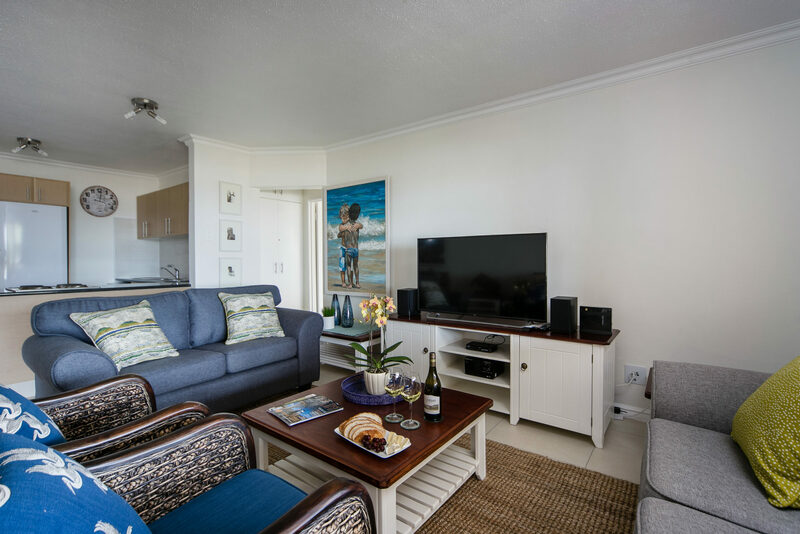 Think a stylish hotel suite, think La Mer 26! Extremely good value for money in a very secure environment. Wow.....I don't even know where to start, we had a marvelous time, the apartment is absolutely stunning, peaceful and got friendly people. We were well taken care of by LeChè, she went all out to make our stay comfortable and welcomed, We grew so much love for the place, it is unbelievable. 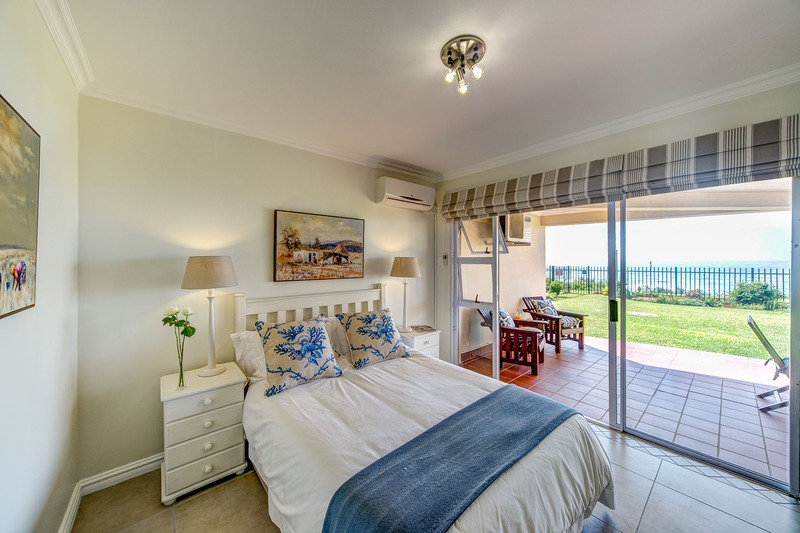 I will definitely recommend La Mer Illovo Beach Apartments to all my other friends, everyone of us were over whelmed by the hospitality, the service, cleanliness and the beauty of the apartment, and the beautiful view of the private beach was awesome. The staff, security and everyone we met were very friendly. We felt safe. We've been to the nursery down the road, and the shopping centre, very convenient. The weather was exactly what we hoped for, we had the time of our lives. Thank you, Thank you Mr Burger, Thank you LeChè, you are the best host ever and to all La Mer staff, you are simply the best. Wow.....I don't even know where to start, we had a marvelous time, the apartment is absolutely stunning, peaceful and got friendly people. We were well taken care of by LeChè, she went all out to make our stay comfortable and welcomed, We grew so much love for the place, it is unbelievable. 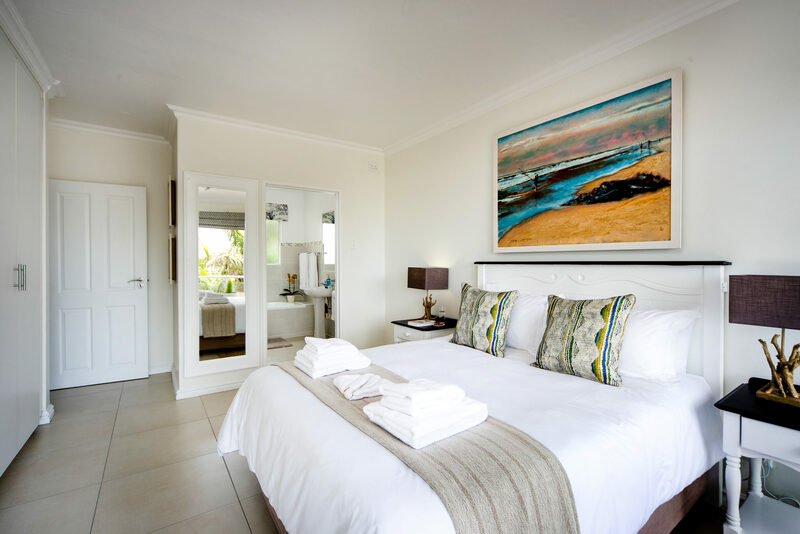 I will definitely recommend La Mer Illovo Beach Apartments to all my other friends, everyone of us were over whelmed by the hospitality, the service, cleanliness and the beauty of the apartment, and the beautiful view of the private beach was awesome. The staff, security and everyone we met were very friendly. We felt safe. We've been to the nursery down the road, and the shopping centre, very convenient. The weather was exactly what we hoped for, we had the time of our lives. Thank you, Thank you Mr Burger, Thank you LeChè, you are the best host ever and to all La Mer staff, you are simply the best. May God continue to Bless all of you. I trust this mail finds you well! Just wanted to place on record my sincere thanks for an awesome get away at La Mer. The apartment is exactly as is seen on (the web)site and an excellent place to enjoy some R&R. Further to the above, may I just add that LeChè went above and beyond in making our stay a blessed one. She is an outstanding manager and an absolute delight! Thanks once again and I look forward to another visit to La Mer. 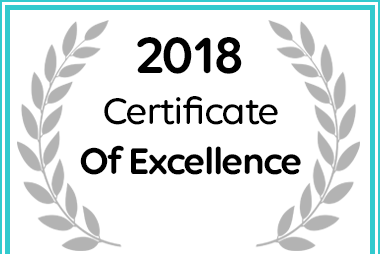 Afristay.com has awarded La Mer - Illovo Beach Apartments in Illovo Beach a Certificate of Excellence for 2018. 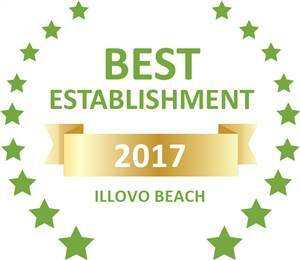 Based on reviews of establishments, 26 La Mer has been voted Best Establishment in Illovo Beach for 2017. 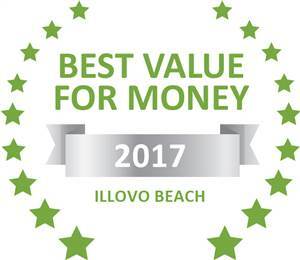 Based on reviews of establishments, 26 La Mer has been voted Best Value for Money in Illovo Beach for 2017.